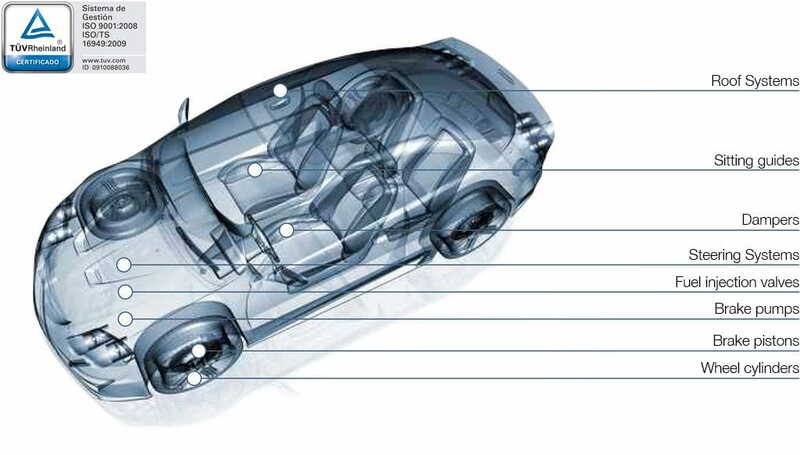 During the last years and due to the increasing employ of Aluminium in the Automotive market, General Galvanica has developed a management and quality system that has allowed this sector be the growth base of our company. General Galvànica Gironina is certified ISO TS-16949. We have robot stations for parts handling.